Fresh off their first road win over a ranked opponent in more than a decade, the Terps shot up the board this week. Their particularly week non-conference strength of schedule (303rd of 351 Division I teams) is arguably the biggest thing holding them down right now. But because of the way the overall formula is calculated, it will factor in less and less as more conference results come in — they were a 7-seed last week. 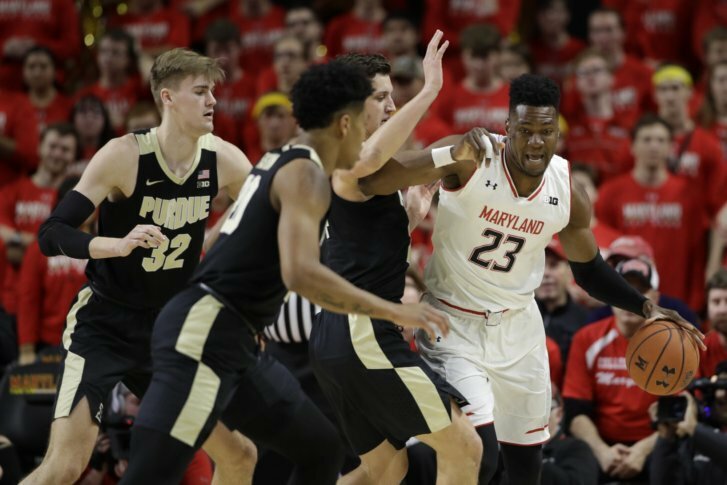 In other words: The weak NCSOS can’t hurt Maryland more than it already has in these rankings, which bodes well down for the rest of the conference slate and into the Big Ten Tournament.